It is possible to upgrade to Debian 9 from Debian 8 using ssh. 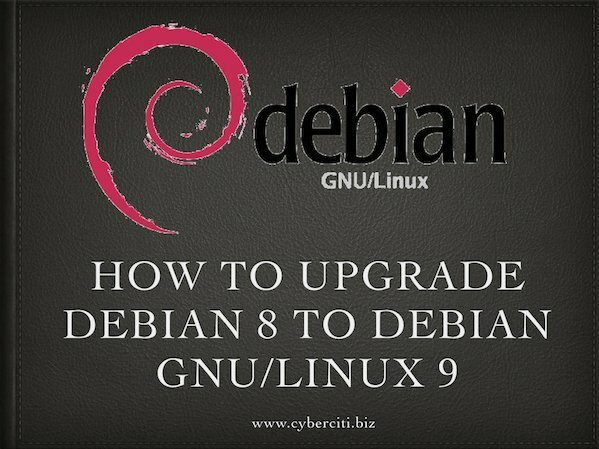 This tutorial shows how to upgrade from Debian 8 Jessie Linux to Debian 9 Stretch using command line. 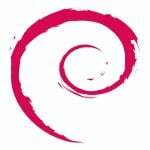 Please note that Debian 9 made significant changes and upgrade might fail including data corruption is possible due to change in data formats. See “Issues to be aware of for stretch” for more info. Make sure you read the page before typing any one of the following commands. 398 upgraded, 139 newly installed, 3 to remove and 0 not upgraded. Need to get 213 MB of archives. After this operation, 335 MB of additional disk space will be used. .... sysv-rc sysvinit-utils tar task-english task-ssh-server tasksel tasksel-data tcpd telnet texinfo time traceroute tzdata ucf udev util-linux util-linux-locales vim vim-common vim-runtime vim-tiny w3m wget whiptail whois xauth xdg-user-dirs xkb-data xml-core xz-utils zlib1g 398 upgraded, 139 newly installed, 3 to remove and 0 not upgraded. Need to get 213 MB of archives. After this operation, 335 MB of additional disk space will be used. E: Trivial Only specified but this is not a trivial operation. 283 upgraded, 0 newly installed, 0 to remove and 115 not upgraded. Need to get 69.9 MB of archives. Reading package lists... Done Building dependency tree Reading state information... Done Calculating upgrade... The following packages were automatically installed and are no longer required: docutils-common docutils-doc libasprintf0c2 liblcms2-2 libpaper-utils libpaper1 libperl4-corelibs-perl libuuid-perl libwebp5 libwebpdemux1 libwebpmux1 python-docutils python-pil python-pygments python-roman Use 'apt-get autoremove' to remove them. Done The following packages have been kept back: apt apt-listchanges apt-utils aptitude aptitude-common bc bind9-host curl dbus dmsetup dnsutils eject exim4 exim4-base exim4-config exim4-daemon-light file ftp gnupg gnupg-agent gnupg2 ifupdown init init-system-helpers initramfs-tools initscripts iotop iproute2 iptables iputils-ping isc-dhcp-client isc-dhcp-common libarchive-extract-perl libavahi-client3 libc-bin libc6 libcairo2 libclass-c3-xs-perl libcpan-meta-perl libcryptsetup4 libcups2 libcurl3 libcurl3-gnutls libdbus-1-3 libdevmapper1.02.1 libfcgi-perl libfreetype6 libgcc1 libgdk-pixbuf2.0-0 libgdk-pixbuf2.0-common libgnutls-openssl27 libgtk2.0-0 libgtk2.0-bin libhtml-parser-perl .... .. The following packages will be upgraded: acl acpi acpi-support-base acpid adduser aptitude-doc-en at base-files base-passwd bash bash-completion bsd-mailx bsdmainutils bsdutils busybox bzip2 ca-certificates console-setup console-setup-linux coreutils cpio cron dash dc debconf debconf-i18n debian-archive-keyring debian-faq debianutils dictionaries-common diffutils discover dmidecode doc-debian docutils-common docutils-doc dpkg e2fslibs e2fsprogs findutils fontconfig fontconfig-config fonts-dejavu-core geoip-database gettext-base gpgv grep groff-base grub-common grub-pc grub-pc-bin grub2-common gzip hicolor-icon-theme host hostname iamerican ibritish ienglish-common info insserv install-info .... .. 283 upgraded, 0 newly installed, 0 to remove and 115 not upgraded. Need to get 69.9 MB of archives. After this operation, 14.8 MB of additional disk space will be used. Do you want to continue? [Y/n] y Get:1 http://mirrors.kernel.org/debian/ stretch/main base-files amd64 9.9 [67.2 kB] Get:2 http://mirrors.kernel.org/debian/ stretch/main libtinfo5 amd64 6.0+20161126-1 [299 kB] Get:3 http://mirrors.kernel.org/debian/ stretch/main libncurses5 amd64 6.0+20161126-1 [93.4 kB] Get:4 http://mirrors.kernel.org/debian/ stretch/main libncursesw5 amd64 6.0+20161126-1 [115 kB] .... .... .. Get:281 http://mirrors.kernel.org/debian/ stretch/main xdg-user-dirs amd64 0.15-2+b1 [52.2 kB] Get:282 http://mirrors.kernel.org/debian/ stretch/main host all 1:9.10.3.dfsg.P4-12.3 [185 kB] Get:283 http://mirrors.kernel.org/debian/ stretch/main os-prober amd64 1.75 [29.8 kB] Fetched 69.9 MB in 1min 3s (1,104 kB/s) ... ... .. update-alternatives: using /usr/share/docutils/scripts/python2/rst2html4 to provide /usr/bin/rst2html4 (rst2html4) in auto mode update-alternatives: using /usr/share/docutils/scripts/python2/rst2html5 to provide /usr/bin/rst2html5 (rst2html5) in auto mode Setting up tasksel (3.39) ... Setting up task-english (3.39) ... 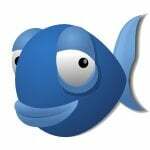 Setting up task-ssh-server (3.39) ... Setting up tasksel-data (3.39) ... 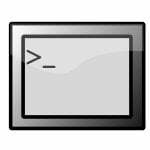 Processing triggers for libc-bin (2.19-18+deb8u9) ... 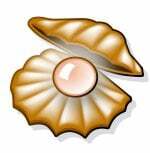 Processing triggers for systemd (215-17+deb8u7) ... Processing triggers for ca-certificates (20161130+nmu1) ... Updating certificates in /etc/ssl/certs... 0 added, 0 removed; done. Running hooks in /etc/ca-certificates/update.d... done. Processing triggers for dictionaries-common (1.27.2) ... ispell-autobuildhash: Processing 'american' dict. ispell-autobuildhash: Processing 'british' dict. 115 upgraded, 139 newly installed, 3 to remove and 0 not upgraded. After this operation, 320 MB of additional disk space will be used. Selecting previously unselected package libc-l10n. 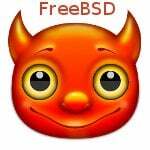 :No LSB modules are available. And there you have it, Debian 8 upgrade to Debian 9. I tested this on a live system running at Linode VPS. For more info see this page. There is a typing error that prevents source repo update. I would highly recommend doing “apt-get dist-upgrade -d” before doing any actual upgrades. Having all of the packages downloaded before beginning helps avoid troubles in case of network issues. just for my unerstanding: why not directly doing a “dist-upgrade” without an “upgrade” before?